The new film “A Quiet Place” is an edge-of-your-seat tale about a family struggling to avoid being heard by monsters with hypersensitive ears. Conditioned by fear, they know the slightest noise will provoke a violent response—and almost certain death. Audiences have come out in droves to dip their toes into its quiet terror, and they’re loving it: It’s raked in over $100 million at the box office and has a 95 percent rating on Rotten Tomatoes. Counting as members over 40 governors, and with Mark Twain as their spokesman, the group used its political clout to get “quiet zones” established around hospitals and schools. Violating a quiet zone was punishable by fine, imprisonment or both. Yet legislating against noisemakers rarely satisfied our growing desire for quietness, so products and technologies emerged to meet the demand of increasingly sensitive consumers. In the early 20th century, sound-muffling curtains, softer floor materials, room dividers and ventilators kept the noise from the outside from coming in, while preventing sounds from bothering neighbors or the police. But as Carlyle, Rice, and the family in “A Quiet Place” found out, creating a sound-free lifeworld is nearly impossible. 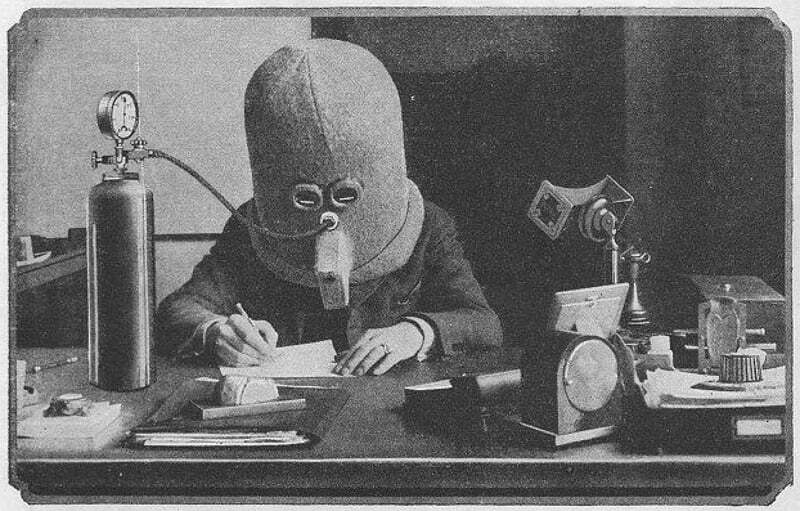 Certainly, as Hugo Gernsback learned with his 1925 invention the Isolator—a lead helmet with viewing holes connected to a breathing apparatus—it was impractical. Today, the quietness industry is a booming international market. There are hundreds of digital apps and technologies created by psychoacoustic engineers for consumers, including noise cancellation products with adaptive algorithms that detect outside sounds and produce anti-phase sonic waves, rendering them inaudible. In a Sony ad for their noise-canceling headphones, the company depicts a world in which the consumer exists in a sonic bubble in an eerily empty cityscape. Matthew Jordan is an associate professor of media studies at Pennsylvania State University.